I would swear it was real leather if it wasn't so lightweight and decently-priced ($85). Faux fur and leather have come a long way! I also love the chunky hardware, which feels substantial and sturdy. Flirty Finds features a number of adorable handbags that look high-end but are very affordable. 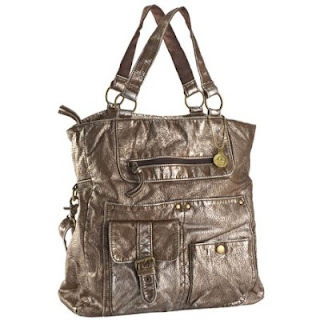 I love the Big Buddha Coco Mailbag, a sizable tote rendered chic in metallic leatherette. 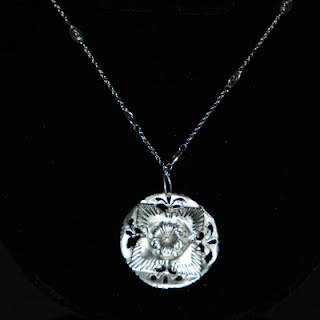 I also received the Flower Medallion necklace in silver and the Emmy reversible ribbon belt. These aren't as obviously "me" but they are very cute on. Cuter than I expected, actually. And wearing accessories definitely make you look as though you've put out some effort, which is not a terrible thing for a mom's self-esteem… thank you, Flirty Finds, for helping me rise above my natural tendency to spend my day in pajamas! Use code NAOMI for 15% off your online purchase at Flirty Finds. 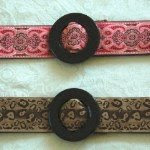 FlirtyFinds has extended the 15% off promotion until August 30, so check out www.flirtyfinds.com and enter promo code NAOMI. We have lots of great new bags, belts, sweaters and jewelry for fall.